Here in America, we are so efficient producing food we take it for granted. We feed our own population and still have capacity to export agricultural products to the rest of the world. This includes dairy. The milk from one out of seven tankers leaving U.S. farms ends up in products and ingredients sold in other countries. With an ambitious strategy, we aim to go from one in seven tankers to one in five, sending even more of our milk to other markets. 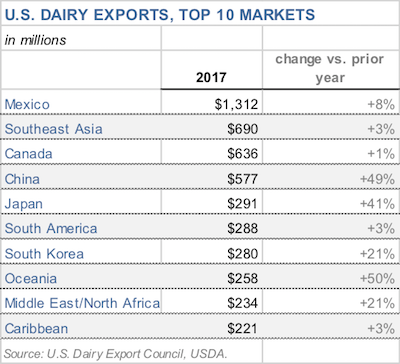 With 95 percent of the world's population living outside the United States, the potential upside for U.S. dairy exports is huge. The U.S. Dairy Export Council forecasts the world will need an additional 1.3 million metric tons of dairy products and ingredients to meet global demand growth over the next three to five years. Knowing this is one thing. Experiencing it is another. That's why four Dairy Management Inc. board members, including myself, the board's chairperson, took a whirlwind visit to Asia in November to assess demand and examine what USDEC is doing to deliver value to our farmers. Since 1995, DMI and the dairy checkoff program have been USDEC's parent organization and primary funder. The DMI board takes its responsibility seriously to oversee our farmers' major ongoing investment in exports, especially while so many struggle to survive this extended period of low milk prices. One stop was Hong Kong, a city of soaring skyscrapers, big business deals and more than 7 million people. Seeing so many people packed into tight spaces made me a little claustrophobic—but also hopeful for our dairy farmers' future. Hong Kong, a city, has more people than the entire state of Wisconsin. Why? Consider this statistic: Hong Kong must import 95 percent of its food. It's a dynamic played out all over the world where domestic food demand exceeds domestic supply for a variety of factors, including lack of water, land and agricultural know-how. The more I thought about it, the more excited I got. When you boil it down, the point is this: We need the world's customers and they need us. It's a win-win. 1. 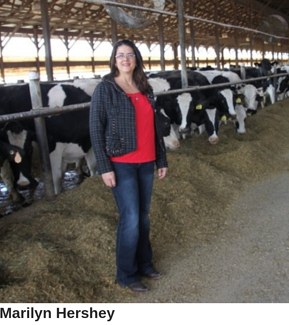 Exports provide value during hard times: These are hard times for many dairy farmers. I shudder to think what our milk checks would be like right now without exports. The dairy checkoff program is delivering value to U.S. dairy farmers by funding USDEC. It's important to note that many U.S. suppliers have people on the ground in the markets they serve. USDEC doesn't work for these specific companies. It cultivates opportunities for our entire industry. 2. Checkoff funding boosts exports: In 1995, hardly any milk was leaving the country. Farmers saw an opportunity and formed USDEC, a unique partnership between producers and exporters. Today milk from one out of seven milk tankers (15 percent) ends up in dairy products and ingredients sold overseas. Checkoff funding of exports makes a difference! 3. We have set a big goal for exports: The “Next 5%” plan aims to grow exports from 15 percent of U.S. production to 20 percent by 2022. That’s an ambitious goal but after spending time in Asia, I see tremendous upside. For example, despite being the world’s largest importer of cheese, Japan’s per capita cheese consumption is only about 5.5 pounds. There is ample room for growth, given U.S. per capita cheese consumption is more than 36 pounds. 4. 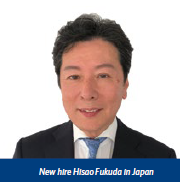 Relationships on the ground matter: Fortunately, checkoff funding from state and regional organizations is enabling USDEC to hire experienced people, including our new business development director in Japan, Hisao Fukuda, who has already cultivated hundreds of key relationships as the former chief operating officer of the Japan Foodservice Association, representing the country’s $250 billion restaurant industry. Hires like this represent checkoff money well spent. 5. Many countries have milk deficits: Like Hong Kong, much of the world lacks the land and know-how to produce enough milk to meet the dairy needs of its own citizens. For example, in Japan, the dairy farm sector has been declining for years. 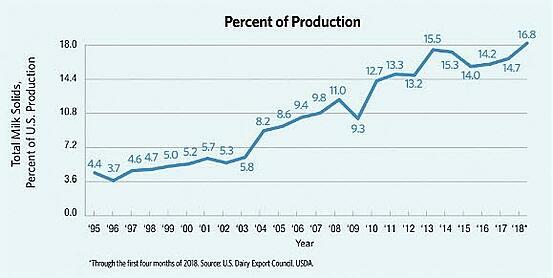 Since 2000, milk output is down 14 percent. No wonder Japan is a major U.S. customer, accounting for nearly 10 percent of U.S. cheese, 6 percent of U.S. whey and 13 percent of U.S. lactose in 2017, the latest year with 12 months of available data. 6. USDEC is upping its cheese efforts: Hong Kong is one of a handful of USDEC “incubator” markets around the world for specialty/artisan U.S. cheese. Singapore and Dubai are two others. Why? USDEC research suggests global cheese imports will increase more than 500,000 metric tons by 2021. We aim to capture 40 percent of that. What's exciting is parts of Asia are just now discovering cheese. China's cheese imports have soared more than 50-fold since 2000. 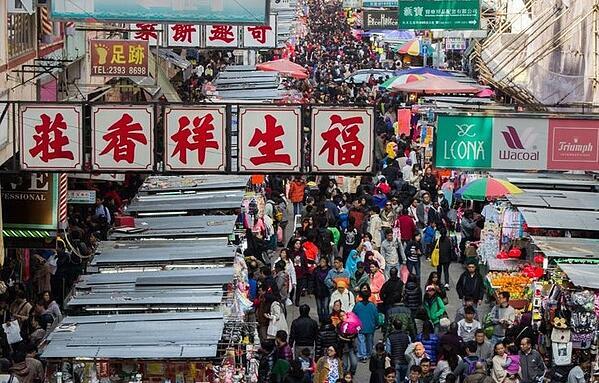 With a population exceeding 1 billion, the upside in China alone is huge. 7. This is a long-term strategy: It's not a quick fix. USDEC and the checkoff program have been at this for decades and are committed to seeing us through the ups and downs of global markets We will adapt to surprises. When two of our most important markets, Mexico and China, hit us with retaliatory tariffs this year, our industry didn't retreat to a corner and cry. USDEC redoubled its trade policy efforts in Washington and our exporters found new ways to do business. Consequently, we think 2018 will be a new record for annual exports. VIDEO: Hear some of my immediate thoughts captured in Hong Kong. As you can see, we had a lot of information to absorb. When it was over, I was enlightened, but tired. I felt like Dorothy on the Wizard of Oz, muttering, "There's no place like home, There's no place like home." Seeing all those people in Tokyo and Hong Kong scurry to work made me appreciate the five-minute commute by foot from my house to our barn and 800 cows. The commute takes a little longer if I check on the calves, which I often do. Asia is a nice place to visit. But I'd rather be here doing what my husband Duane and I love, dairy farming. It's a love many in this country share. We want our farms to keep going and we want our children, if they so choose, to continue this family love affair with the cows and the land. Exports open new markets for our milk and provide us hope for a better future. Marilyn Hershey is a dairy farmer in Cochranville, Pennsylvania, and the chair of Dairy Management Inc., USDEC's parent organization, managing the national dairy checkoff program.